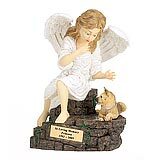 "The Angel arrived and yesterday we carefully placed Austin's ashes inside; Austin was taken from us very suddenly and it is the greatest comfort to have him with us n such a beautiful piece of art--he was truly an angel and a gift from God to us. 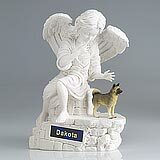 Thank you from the bottom of our hearts for getting it to us in such a timely fashion." 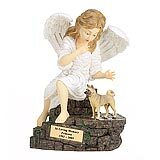 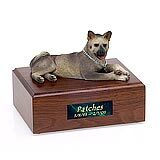 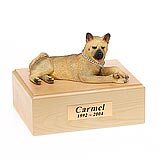 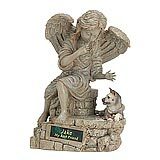 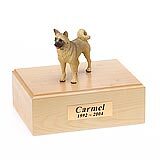 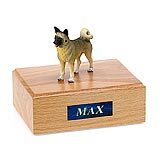 All available Akita dog urns and memorials will be displayed with the figurine on the Akita urn you select and in the appropriate size.